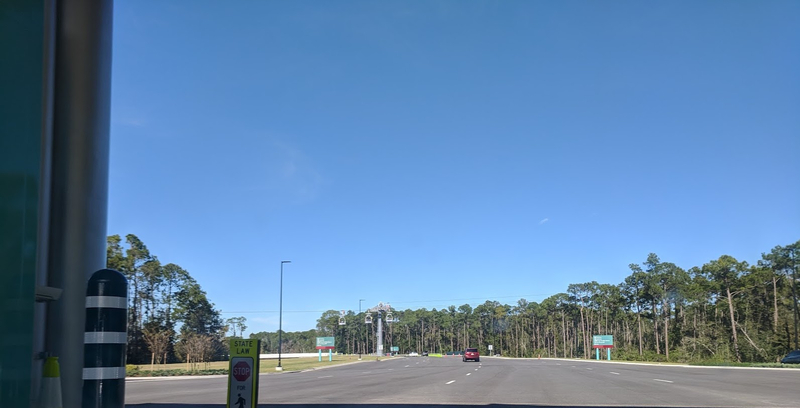 Walt Disney World’s Disney Skyliner transportation system isn’t slated to open until fall of next year, but resort guests have already noticed continual developments on the project over the past several months. 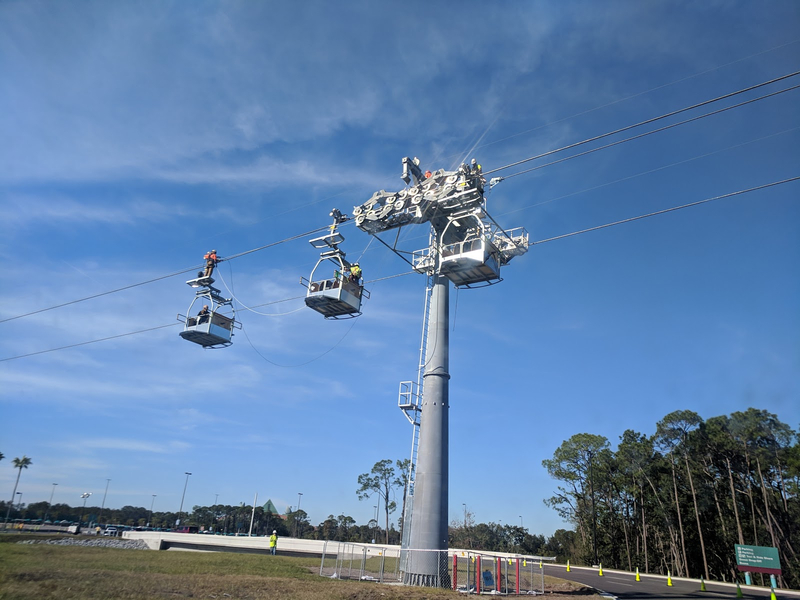 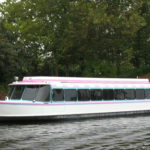 Today, we caught a glimpse of how workers were using service gondolas to keep the project moving. 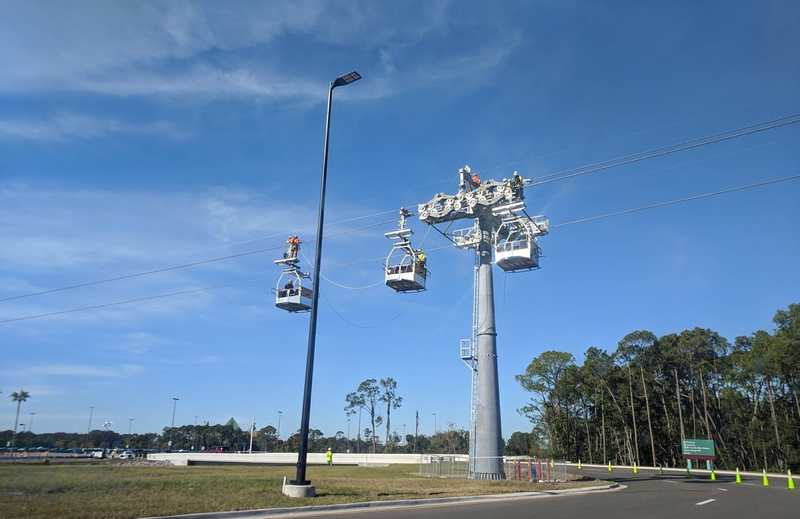 As you can see from these photos taken near the Disney’s Hollywood Studios entrance plaza, Disney Skyliner workers are utilizing test gondolas as construction continues. 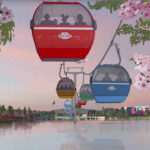 Obviously these buckets are not what guests will be riding in (although these do include a lot of ventilation for the non-air conditioned gondolas). 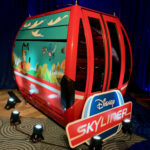 The real cabins were first displayed at last month’s Destination D event. 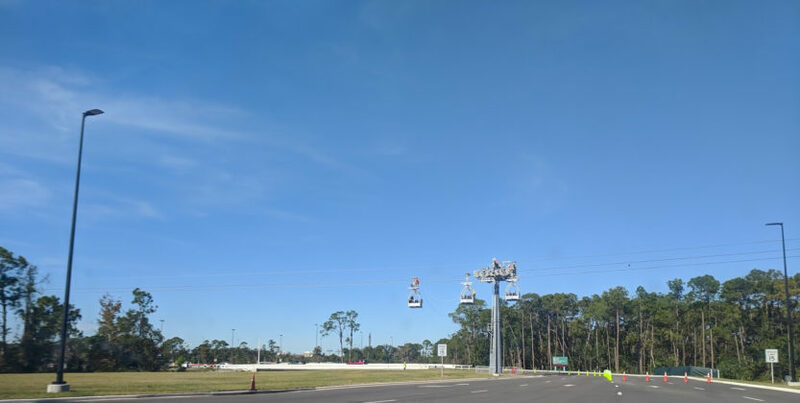 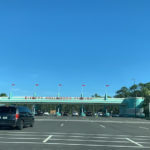 To give you an idea of how the Disney Skyliner will look as guests enter from the recently-opened Disney’s Hollywood Studios entrance plaza, the photos below should give you a better frame of reference. When completed, the Disney Skyliner will connect Disney’s Hollywood Studios and Epcot as well as Disney’s Art of Animation Resort, Disney’s Pop Century Resort and Disney’s Caribbean Beach Resort, and the upcoming Disney’s Riviera Resort.